An initiative to bring awareness to the importance of our native bees and to help educate the importance of providing them adequate places to nest and how to build sufficient DIY Native Bee Huts. 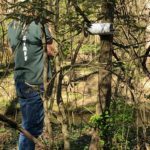 Helping Ninjas has joined efforts with Hamilton County Parks & Recreation Native Bee Hut Coordinator, Holly Faust, to install native bee huts and reeds onto 39 trees across 100 acres of land at Cool Creek Nature Center in Carmel, IN. 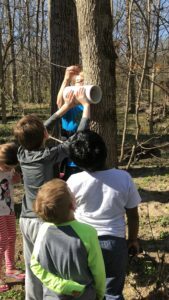 Helping Ninjas made a donation to purchase the Native Bee Huts to help Holly Faust, Hamilton County Parks, achieve her goal to become part of the Native Bee Network. 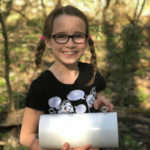 The Native Bee Hut Project is an initiative to create awareness and educate the public about native bees, and the Helping Ninjas donated the native bee huts that will be wired to trees throughout the acreage at Cool Creek Park- particularly placed near areas that have a succession of continue wildflowers. 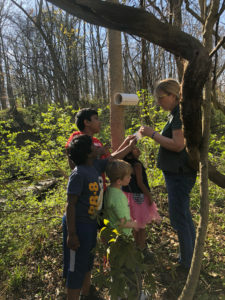 Helping Ninjas and Holly Faust, Hamilton County Parks, hanging Native Bee Huts at Cool Creek Nature Centre. The Native Bee Network of Crowne Bees is part of a larger movement called, Projects For Good, and through this Crown Bees hopes to gain more funding for its Bee Ambassador program that will help them to find people, extension services and conservation districts across the nation willing to install Native Bee Huts. 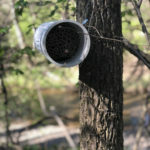 While the native bee huts do provide additional habitat, according to Holly Faust, Hamilton County Park, another reason for installing them is to find out how many different species of native hole nesters are in our habitat, which ones are not, and how they are affected by the non-native honey bees. “Interestingly enough, the same species may not show up every year,” says Faust. ” This data is gathered as part of the Native Bee Hut project, and will be sent to the Native Bee Network. A native bee hut has many reeds of various diameters to attract mason bees, leaf cutter bees and hole nesting bees. Huts are made of wood reeves and are attached to the trees with a thin metal wire. They are then entered into the NBN app – in which all the data of bee activity will be tracked and monitored. “We focus on hole nesting native bees because 75% of our native bees actually nest in the ground. It is not feasible to dig up a groundnesting bee nest and rummage through it and expect them to survive. It is much more feasible to study native hole nesting pollinators,” says Frost. Huts are made of wood reeves and are attached to the trees with a thin metal wire. 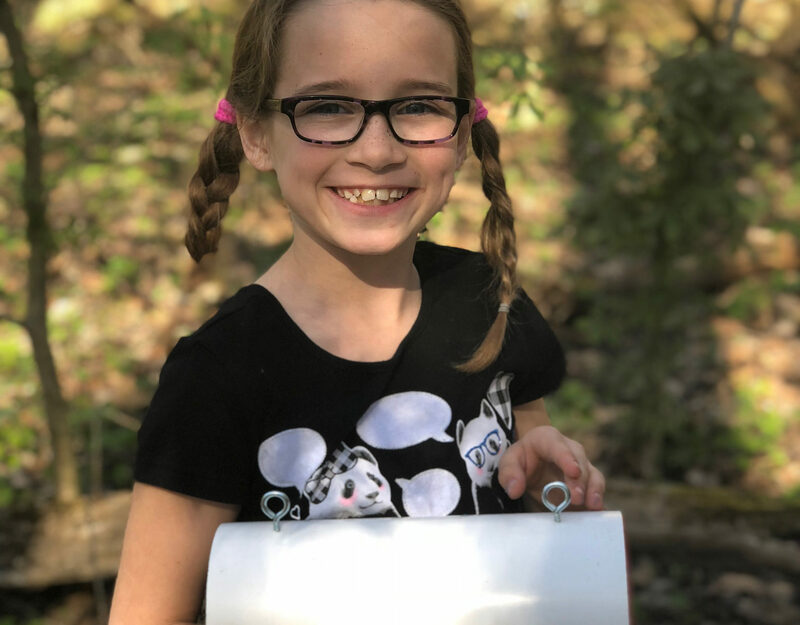 Helping Ninjas has donated the 39 Native Bees Huts to help launch the Native Bee Hut project and will help to install them before the end of Spring, and has hopes to help Holly Faust in the future to place more huts in surrounding areas of the other Hamilton County Parks. And Holly hopes that this project will help to educate the community that this is something anyone can do your own back yard. Join Holly Faust and her endeavors to explore native bees and research efforts for the Native Bee Network and to educate our community. What Is A Native Bee Hut? DIY Native Bee Huts – Good Idea or No?